Most music and video streaming services use geo-restrictions to limit access to their services, which creates headaches for international users who want to access (and pay for) the likes of Hulu Plus, HBO Go or Netflix. Enter Getflix, a smart DNS service that removes the geoblock feature for the US version of Netflix, Hulu, BBC iPlayer and many more streaming media services across the globe. Usually, these services operate with monthly subscription packages. But Getflix is temporarily offering a lifetime subscription for only $39 – that’s a massive 88 percent saving down from $330. A lifetime subscription means no more monthly subscription fees! Getflix also comes with a VPN service to help protect your online privacy. 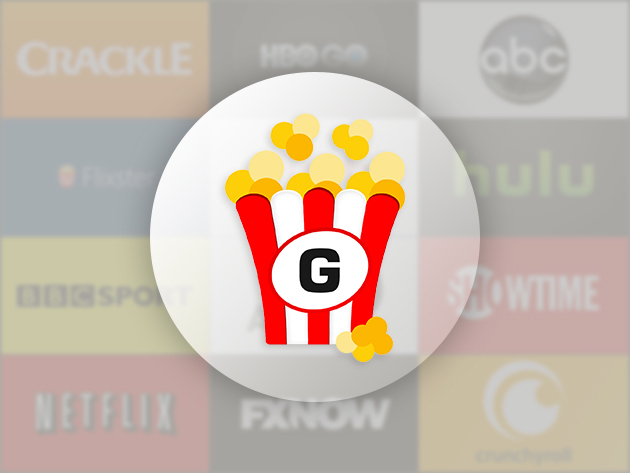 Unlock the world of global streaming with this great offer for Getflix, from TNW Deals now with an additional discount when you use coupon code EARLY10. The Raspberry Pi Foundation has released a new and improved model of its iconic microcomputer – the kit that’s taught countless curious minds the fundamentals of electronics and robotics. Whether you’re upgrading or trying Raspberry Pi for the first time, you’re going to need to do a lot more than just purchase the Raspberry Pi 2 single-board computer to get started. The Complete Raspberry Pi 2 Starter Kit will put you in command of all the necessary programs, and the world of possibilities within this next generation microcomputer, to get you building and programming in no time. Get it now on TNW Deals for just $115 with free shipping. Learn to utilize the Raspberry Pi 2’s boosted memory, faster output, and increased opportunity for electronic exploration with a crash course in basic computing functions, featuring over 120 lectures across five comprehensive courses. You’ll conquer a Python program that powers a simple number guessing game, which allows you to connect your Pi to Christmas lights & run various lighting patterns and more as you use variables, loops & statements to automate the execution of tasks. You’ll move step-by-step through the process of building a robot and controlling it remotely as you build a firm foundation on Internet of Things, using Raspberry Pi 2 to deploy programs remotely, access the GPIO pins & control from your computer. It’s time to stop daydreaming about building a fully operating robot and make it happen. This course uses Raspberry Pi to take you step-by-step through the process of building a robot and controlling it remotely. In no time you’ll be making your own hardware projects, from a light detector to a motion sensor and other Raspberry Pi-controlled physical devices as you build upon your knowledge of Python. Get started with all the essentials you need to kick off your electronics mastery, now 85 percent off at TNW Deals, plus an additional Early Black Friday 10 percent off with coupon code EARLY10. Get ready to dominate the skies with the Panther Air HD Camera Drone – a quadcopter built for easy flips and tricks that even beginners can pull off. Featuring a lightweight yet durable foam body with built-in gyro stabilization for effortless stable flight and maneuvers, as well as a bottom mounted 720p HD camera to capture incredible flight footage, the Panther is a guaranteed stunt-flying fun. Get it now for just $109.99 + and additional 10 percent off when using coupon code EARLY10 now from TNW Deals. If you’re eager to execute some high-flying aerial maneuvers, this Panther Air is your ticket to stunt-flying fun. Larger than most of its competitors, it boasts an incredibly light body thanks to the durable foam construction. A 4.5-channel radio control enables forward/backward, up/down, rotational, and lateral coasting functions. The Panther also has a 360-degree flip stunt mode to send its twinkle rotors into sweeping loops at the press of a button. Record your antics with it using the on-board 729p HD video camera. Whether you’re hunting for a great Christmas gift or your first drone, look no further. We’ve got a great offer on the Panther Drone here at TNW Deals that you can’t miss: get over half off the sticker price and score this amazing RC drone for only $110! Check out all our Black Friday deals by clicking here!